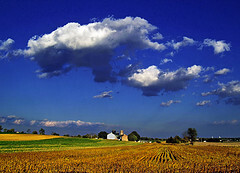 Tom’s work on farmland preservation occurred in one of the nation’s top 20 agricultural counties. 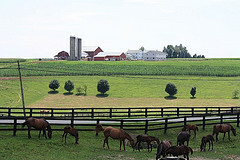 Lancaster, known as the heart of Amish country, is comprised of more than two-thirds agricultural land. 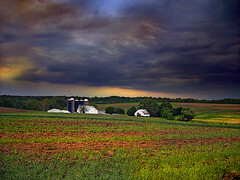 Partially due to visionary agricultural zoning throughout the 70s and 80s and partially because agriculture is a $1 billion industry that is also essential to the thriving tourist trade, Lancaster county has more of its farmland preserved than any other county in the United States. Almost 90,000 of its 400,000 agricultural acres have been permanently protected. 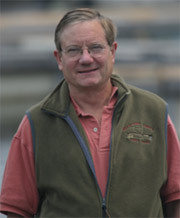 Tom next did a stint at SUNY-Albany in New York, where his original land preservation course proved popular with the students. Upon his return to UPenn, he got input from Peter Stein of Lyme Timber - a leading conservationist - on how to turn the course into a certificate program. What are the five elements of the UPenn Land Preservation Certificate? They are land preservation and planning, land conservation finance, geographic information systems, environmental law, and a science course such as wetland ecology or land remediation. 1. We go out and buy easements (development rights). 2. More than half of the county’s farmland has agricultural zoning, which means no greater than one house on two acres for every 25 acres. For example, 100 acres could get 4 building lots on a total of 8 acres and still have 92 acres remaining for agriculture. I asked Tom what he thinks of the new focus on payments for “ecosystem services,” or the benefits provided by natural lands, including working lands. “What we’re moving towards is actually some kind of arrangement to pay farmers and forest owners for ecosystem services, whether for carbon sequestration to mitigate climate change or to improve water supply. Besides, Lancaster County is in the Chesapeake Bay watershed. As you might have heard, Chesapeake Bay is a body of water that has been profoundly affected by the expanding demands of an increasing population, with pollution that now threatens not only aquatic but human health. Over the past 60 years, the watershed’s population tripled, from 8.3 to 16.9 million people. That number is expected to top 20 million by 2020.